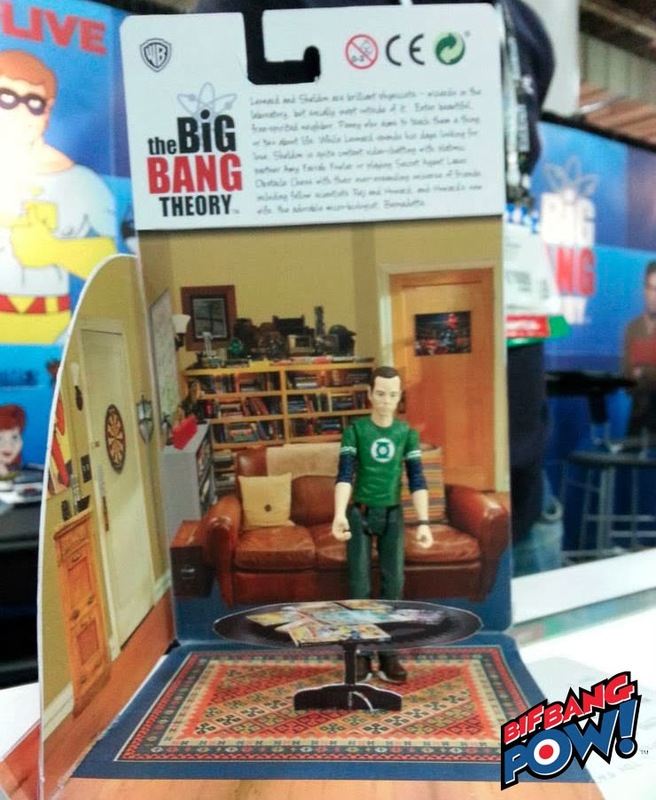 @BifBangPow: Pictures of the 3 3/4-inch Big Bang Theory Figures at Toy Fair! 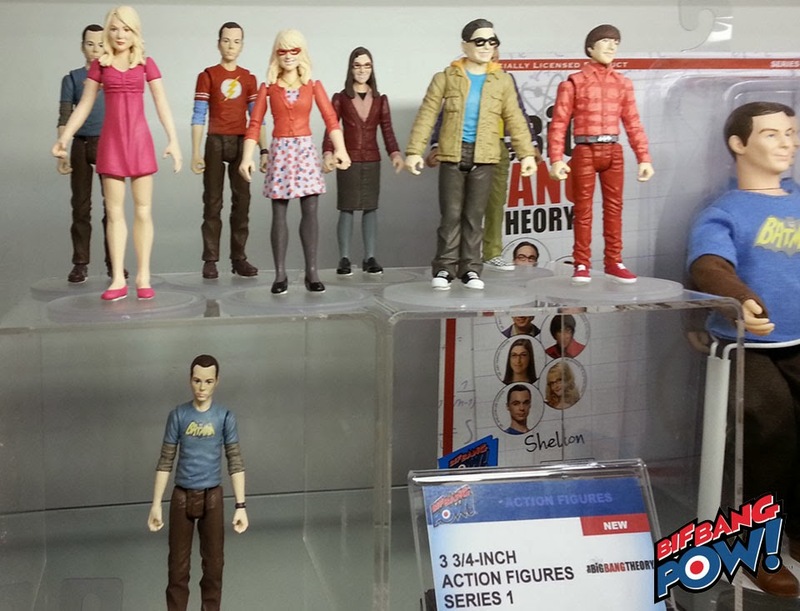 Pictures of the 3 3/4-inch Big Bang Theory Figures at Toy Fair! Toy Fair 2014 is in full swing and we've been having a great time here. We have a display of our upcoming products. Our The Big Bang Theory 3¾-inch action figures are getting a lot of buzz. Check out some of the images from the show for these upcoming figures! Here's Sheldon, chilling out in his living room, probably just about to sit down in His Spot. Yes, that set comes with each figure. 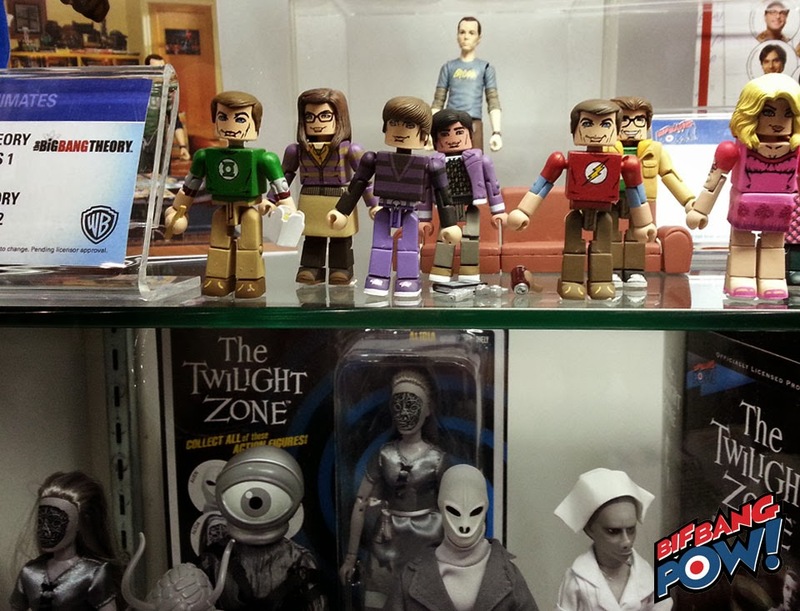 Here are all of The Big Bang Theory Minimates hanging out together. Here are all seven of the main characters from the show, in 3¾-inch form, in one shot! Poor Rajesh is hidden behind Leonard, but you can see three Sheldons: one in a Flash t-shirt, one in a Superman shirt, and one in a Batman shirt. New SNL Products from Your Favorite Episodes! New Venture Bros. and Adventure Time Products! NEW Star Trek and Battlestar Galactica Vehicles!